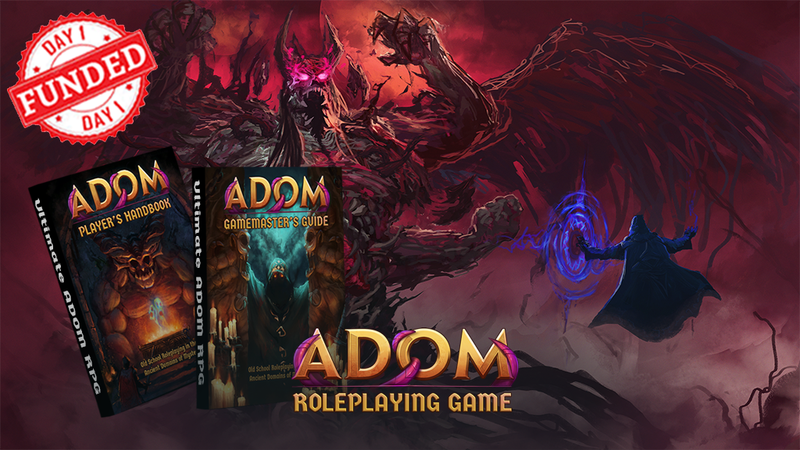 The ADOM RPG Kickstarter ends in less than 48 hours! 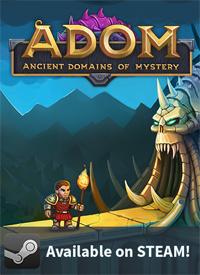 It's less than 48 hours to jump onto the ADOM RPG Kickstarter bandwagon. Having been funded on day 1 we also managed to unlock lots of new graphics for both rulebooks, 16 additional pages of Ancardian randomness to unleash upon the players and a Game Master screen (and we are close to unlocking the very first adventure). 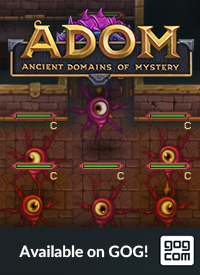 Additionally we managed to get famous RPG legends like Ed Greenwood (the inventor of the Forgotten Realms) and James M. Ward (the mastermind behind Metamorphosis Alpha and Gamma world) to write short stories about Ancardia, the home of ADOM! 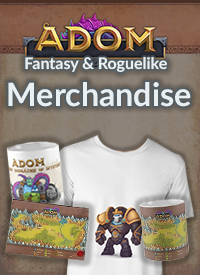 Now or never is the time to support us in order to unlock more stretch goals!